Pope Francis on Friday accepted the resignation of Archbishop of Washington Cardinal Donald Wuerl. The former archbishop’s name was mentioned more than 200 times in the Pennsylvania Grand Jury report that came out in August, a 1,356-page document which detailed abuse of minors committed by over 300 clergy. 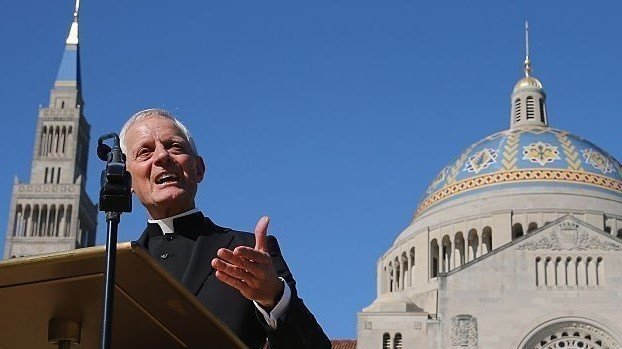 Wuerl will continue to serve as the “apostolic administrator” of the Archdiocese of Washington, therefore he will still have the authority of the archbishop and will continue to serve as chancellor of the university. The chancellor of the university serves as a liaison between the university and the church, per the university charter. The Pennsylvania Grand Jury report released August 14 was the result of a two-year investigation by the grand jury into widespread sexual abuse of children within six catholic dioceses in Pennsylvania, and includes the cover up between senior church officials of Pennsylvania and the Vatican. Wuerl was not accused of abuse, but as Bishop of the Pittsburgh Diocese from 1988 to 2006, his potential involvement with the cover-up has been severely brought into question. Wuerl went to the Vatican earlier in September to meet with Pope Francis about resigning as archbishop. Now at age 77, Wuerl submitted his letter of resignation to the Catholic Church over two years ago as all archbishops do when they turn 75. A Washington diocese spokesperson said that Wuerl will retain his place in the Congregation of Bishops, the powerful section of the Roman Curia that helps to pick bishops. Wuerl was at one point known for being ahead of his time in the Church, he was the example for how sexual abuse in the Church should be dealt with. Early on in his career as the Bishop of Pittsburgh he even flew to the Vatican to fight the vatican supreme court. Wuerl had removed a priest from ministry amid allegations of sexual abuse. When the Priest appealed and the Vatican demanded Wuerl reinstate him, Wuerl fought against the Vatican Supreme Court and won. As of Friday morning, 2,057 people have signed the chang.org petition created by Catholic University students, Francisco Flores Pourat and Sean O’Grady which called for Wuerl’s dismissal from the university and College of Cardinals. In his letter to the university, Garvey praised Wuerl for having “given many years of service to the university, first as a scholar, and later as a chancellor, a position he held by virtue of his office as Archbishop of Washington.” concluded the letter.